"Saturday Night Live: The Experience" is open at the Museum of Broadcast Communications. 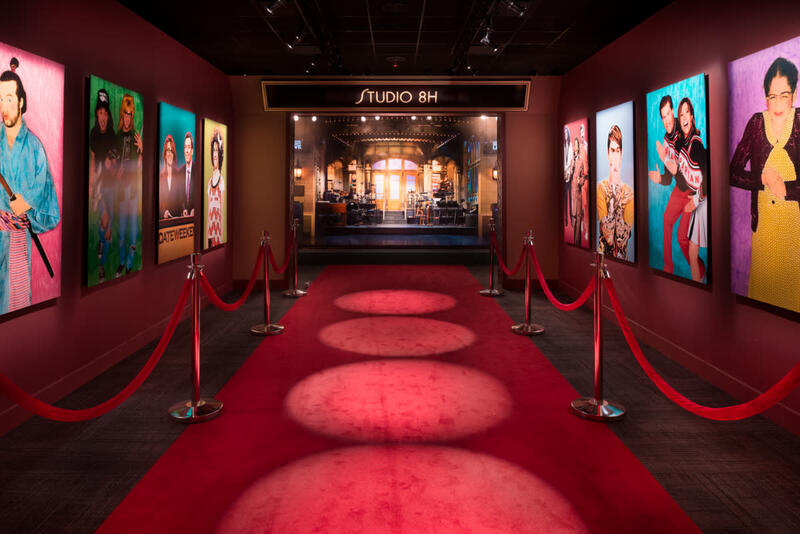 The 12,000-square-foot installment takes you on a journey behind the scenes of the late-night live television sketch comedy and variety show that continues to be an American staple as it enters its 44rd season. Ten full-on galleries usher you into the office of Executive Producer Lorne Michaels, the writers room, the control room and many more nooks and crannies of the legendary show, each piled with iconic artifacts. After a stunning success at its debut in New York City, the exhibition will now focus on Chicago’s SNL connection with the Wayne’s World set, Bill Murray’s lounge singer jacket, Matt Foley’s suit, the Killer Bees’ costume and Gilda Radner’s shoes. Throughout the exhibition run, ticketed special events will bring in actors and writers, as well as set and costume designers to speak about their experiences on SNL. Don’t miss the laughs, the history, and insights into the hard work behind SNL at the Museum of Broadcast Communications at 360 N. State Street, at the corner of State and Kinzie. Tickets for the run of the exhibition are $25 for adults and $20 for seniors and teens/students (with college ID). Children under 12 are free.